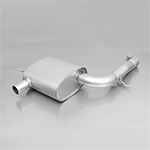 2009-2013 R57 MINI Cooper Convertible Non S Exhaust Systems and Exhaust parts. 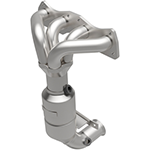 These Cabrio parts include cat back exhaust systems, short shifters, hoses, throttle controllers, header exhaust manifolds, gaskets, and pipes. Made by Milltek, Sprint Booster, Cravenspeed, Magnaflow, NM Engineering, Helix, Supersprint, and Borla.